One hundred and twenty five nations gathered from July 9-13 at the Committee on Fisheries meeting at the Food and Agriculture Organization headquarters in Rome, Italy, to examine international fisheries and agriculture issues. Participants discussed a range of topics including blue growth, sustainable aquaculture, and management solutions for bycatch. As an intern in the Policy, Economics, and Institutions Branch and a fisheries management graduate student, I attended a side event titled “The importance of small-scale fisheries: global, regional and national initiatives.” I had some background on the topic from attending the event hosted by Nereus about small-scale fisheries and sustainable development, and was excited to have an opportunity to dive deeper into the topic. The Director General of Fisheries Administration Cambodia, H.E. Eng Cheasan, opened the event with a speech about the importance of small-scale fisheries to the people of Cambodia. “Where there is water, there is fish. Take care of the water and the fish will take care of you,” he said. This resonated with the entire room, as it highlights the relationship between fishing communities and the resources. These communities are willing to implement management measures like the FAO’s Voluntary Guidelines for Securing Sustainable Small-Scale Fisheries (SSF Guidelines), because they recognize this reciprocal relationship between themselves and the sea. 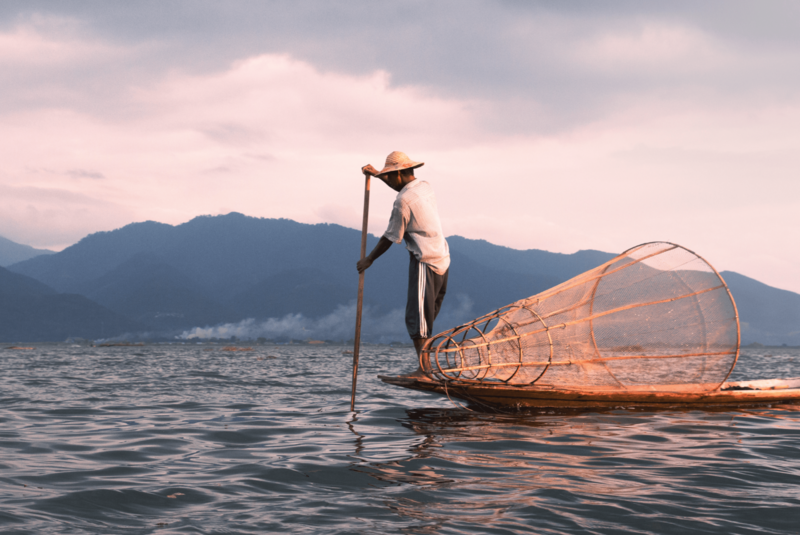 Despite the willingness of countries like Cambodia to implement the SSF guidelines, small-scale fisheries are often overlooked by fisheries managers and policy makers. As Silje Rem from The Knowledge Bank reminded us at the event, small-scale fisheries are becoming invisible, which is why the Hidden Harvest report, which quantifies the contributions of small-scale fisheries and highlights knowledge gaps, is so important. She repeated the quote “what is not counted does not count” a few times, promoting the idea that raising awareness of the SSF Guidelines is vital not only for better management, but to achieve a number of sustainable development goals that relate to fisheries. The SSF Guidelines have the potential to be a powerful instrument, but their success will be determined by implementation. Without active efforts to promote the SSF Guidelines in small fishing communities, they will simply become another publication sitting on a shelf and not being put into practice. In many small-scale fisheries, management is led by the communities themselves in a bottom-up approach; implementation of the SSF Guidelines should be done the same way. Involving communities and local knowledge is crucial to strengthening management of small-scale fisheries and promoting sustainability. While I am here at FAO I am working on tenure rights in fisheries, and I have noticed in my own research a lack of information about small-scale fisheries. Having attended this event, I am excited to know that there are so many different projects in various countries focused on bringing these hidden harvests into the open. I look forward to hearing success stories about the implementation of SSF Guidelines in fisheries worldwide.